Welcome to Autumn! I can’t believe summer went by so quickly. I hope yours was amazing! The last few months have been busy. We have some new staff, have completely redesigned our website and are connecting with as many groups and leaders as possible. We have a new schedule for leader training . We are planning a Silver Award Ceremony for the middle of November and, our Ski for the Duke 2019 Fundraiser is being launched at the Duke of Devon Pub on October 30th . Finally, we recently hosted an exciting “Evening with Duke of Ed Alumni” event on September 20th at the Duke of Cornwall Pub . All proceeds from this event support our ever-growing Endowment Fund. It was a great success and our Alumni Committee will be organising more events in the future! For information about all of our events click here . Thank you so much for all of your support for the Award, and for bringing this awesome opportunity to as many young people as possible. It couldn’t happen without your help. I look forward to some amazing success stories in the coming months. Passion to Purpose was an amazing week full of learning, new experiences and fun! Ninety-one Participants from across the country joined us at the University of Regina. During the week, participants worked on their own projects with the help of workshops, Duke talks and plenary sessions. We were so lucky to have all the amazing speakers, workshop leaders and Participants join us! ﻿We cannot wait for next year's event in Halifax! To learn more about Passion to Purpose and future conferences click here. The Duke of Ed Ontario is striving to give Award Leaders and Participants new and improved resources. 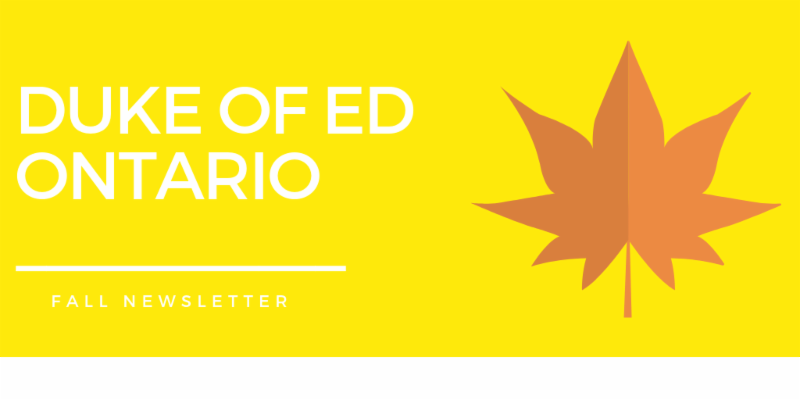 The Duke of Ed Canada is excited to reach out to you with news regarding steps we are taking to strengthen The Award in Canada. In order to positively impact young Canadians across the country, we need your votes! Please take a moment to support us by voting for our “Empower the Future” campaign. Each individual receives 10 votes, that you can use all at once, so voting is easy. 1. 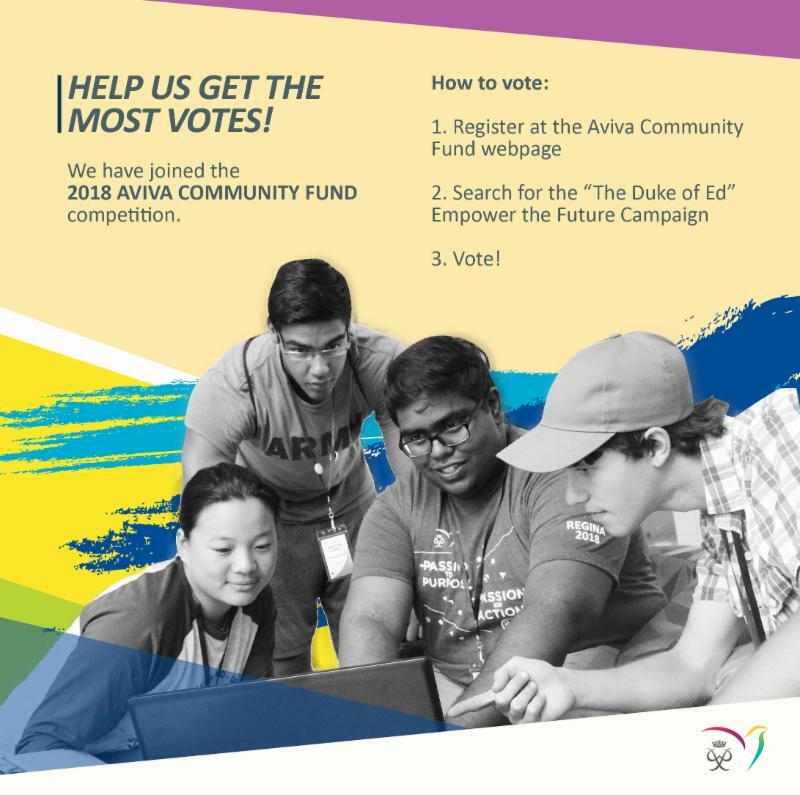 Register at the Aviva Community Fund webpage. 2. Search for the "Empower the Future Campaign." 3. Follow this link to vote. 4. Cast all 10 of your votes today! Brian worked for several years in outdoor education and nonprofits before joining the Award in September. He holds a degree in English Literature from McGill University, where he particularly enjoyed literary theory. 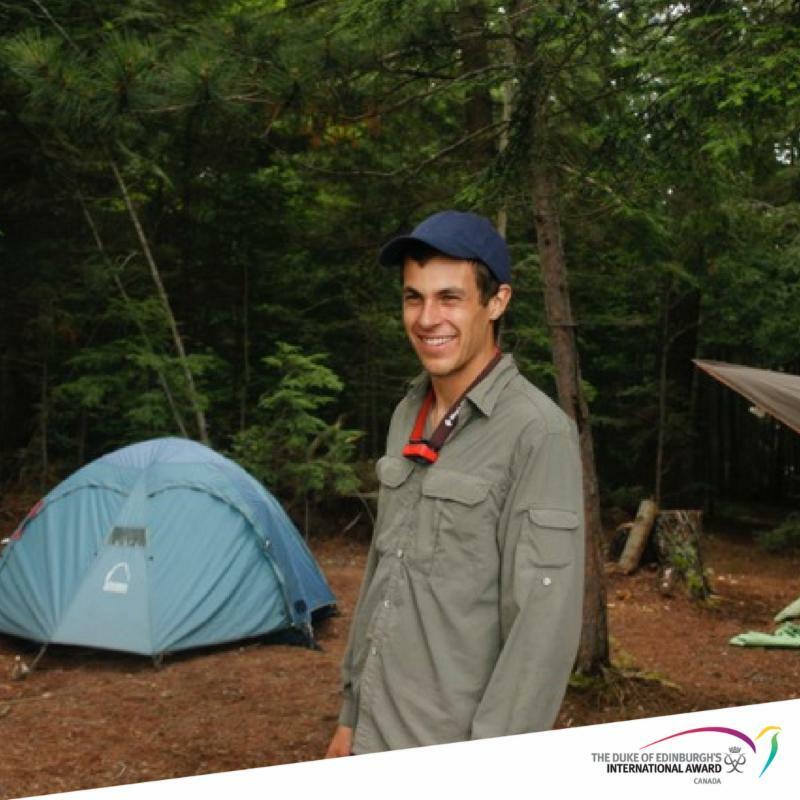 He has spent the last year adding rock climbing to his rotation of outdoor pursuits and also loves to cook, read, and spend time in our beautiful parks! 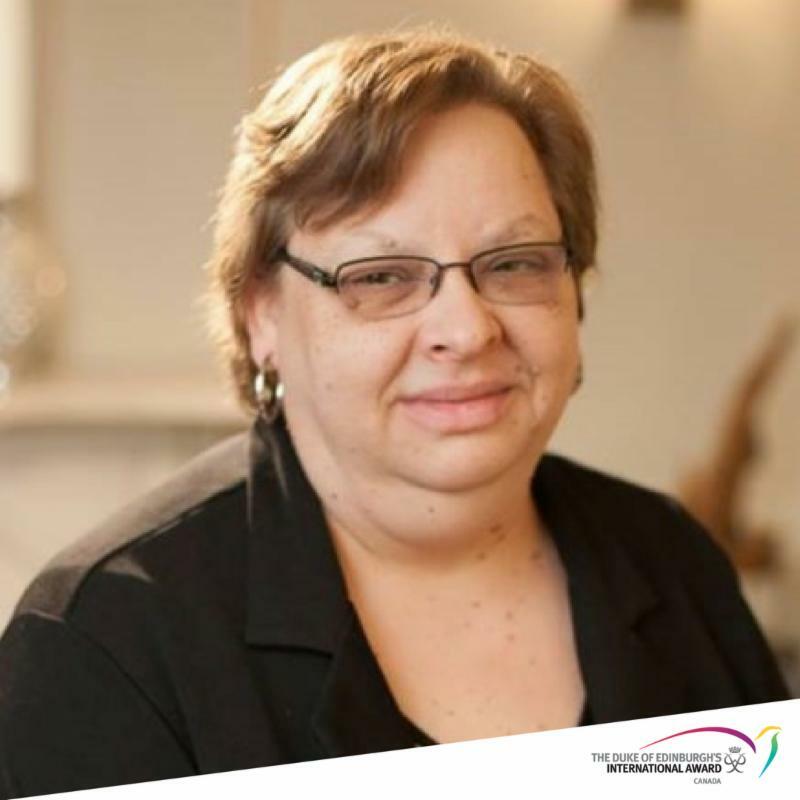 With over 20 years of experience in fundraising and a Certificate in Project Management, Lorraine brings with her a thorough understanding of the principles of fundraising and social marketing, along with a contagious passion and commitment to youth development. Lorraine will use her past experiences to help the Duke of Ed strategically plan by continuing to enhance our events portfolio and enhance engagement with our different stakeholders including alumni, volunteers and supporters.